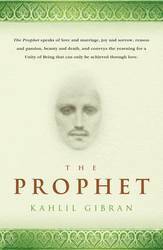 .The Prophet, an international besteller and translated into over fifty languages, is the best-known and best-loved of Kahil Gibran's many spiritual and religious writings. Inspired largely by the beauty and timelessness of nature, The Prophet, arrayed as twentysix prose poetry essays, speaks of love and marriage, joy and sorrow, reason and passion, beauty and death, and conveys the yearning for a Unity of Being that can only be achieved through love. 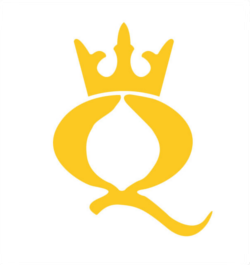 These qualities made The Prophet the iconic book of the 1960s counter-culture, which embraced love and spirituality. Illustrated with his own enchanting and mystical drawings, The Prophet is a masterpiece, the most famous work of religious fiction of the Twentieth Century, and a wonderful companion for anybody embarking on their own spiritual journey. 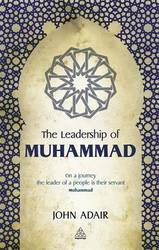 The Leadership of Muhammad is a very personal study of the life-story and leadership skills of the Prophet. 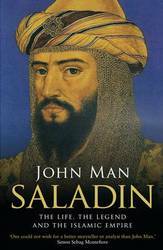 John Adair served with a Bedouin regiment in the Arab Legion and this story is full of fascinating detail of desert life and Bedouin beliefs. A business book that crosses boundaries it highlights the key leadership skills displayed by Muhammad and allows you to share in his wisdom. 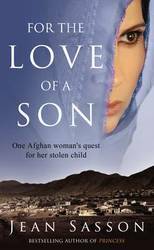 John Adair weaves the story of Muhammad's life together with aspects of Bedouin culture and ancient proverbs to provide key points for leaders and aspiring leaders. 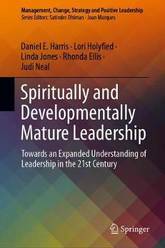 He discusses tribal leadership and essential attributes such as integrity, moral authority and humility. Learning and leadership go hand in hand. 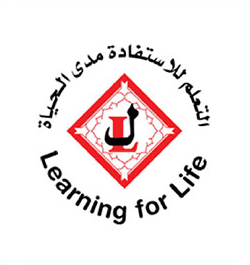 You are not born a leader, but you can become one and it is never too late to learn. John Adair's study or Muhammad and the tribal tradition of leadership is an essential addtion to the leadership debate. 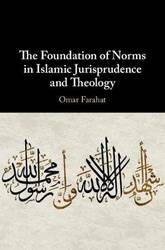 In this book, Omar Farahat presents a new way of understanding the work of classical Islamic theologians and legal theorists who maintained that divine revelation is necessary for the knowledge of the norms and values of human actions. Through a reconstruction of classical Ash'ari-Mu'tazili debates on the nature and implications of divine speech, Farahat argues that the Ash'ari attachment to revelation was not a purely traditionalist position. Rather, it was a rational philosophical commitment emerging from debates in epistemology and theology. He further argues that the particularity of this model makes its distinctive features helpful for contemporary scholars who defend a form of divine command theory. Farahat's volume thus constitutes a new reading of the issue of reason and revelation in Islam and breaks new ground in Islamic theology, law and ethics. New York Times bestselling author Lysa TerKeurst unveils her heart amid shattering circumstances and shows readers how to live assured when life doesn't turn out like they expected. What do you do when God's timing seems questionable, His lack of intervention hurtful, and His promises doubtful? Life often looks so very different than we hoped or expected. Some events may simply catch us off guard for a moment, but others shatter us completely. We feel disappointed and disillusioned, and we quietly start to wonder about the reality of God's goodness. Lysa TerKeurst understands this deeply. But she's also discovered that our disappointments can be the divine appointments our souls need to radically encounter God. 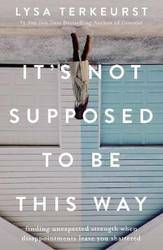 In It's Not Supposed to Be This Way, Lysa invites us into her own journey of faith and, with grit, vulnerability, and honest humor, helps us to: Stop being pulled into the anxiety of disappointment by discovering how to better process unmet expectations and other painful situations. Train ourselves to recognize the three strategies of the enemy so we can stand strong and persevere through unsettling relationships and uncertain outcomes. Discover the secret of being steadfast and not panicking when God actually does give us more than we can handle. Shift our suspicion that God is cruel or unfair to the biblical assurance that God is protecting and preparing us. Know how to encourage a friend and help her navigate hard realities with real help from God's truth. A study of the rise and decline of puritanism in England and New England that focuses on the role of godly men and women. 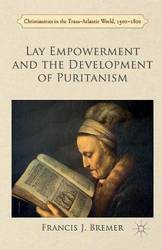 It explores the role of family devotions, lay conferences, prophesying and other means by which the laity influenced puritan belief and practice, and the efforts of the clergy to reduce lay power in the seventeenth century. A must for every Catholic bookshelf, this fresh and inspiring book distils the essential thoughts of Pope John Paul II on matters of belief and conscience into one volume. 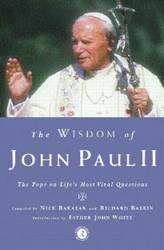 Throughout his more than two decades as the leader of the world's Catholics, John Paul II has spoken both officially and informally on all aspects of life in the modern world. Whether defining the Church's teachings or passionately espousing the basic human rights of all people, he has always eloquently and clearly stated his hopes for the Church and the world. Collected from his encyclicals, speeches, homilies, and statements to fellow bishops, this book includes the pontiff's thoughts at the beginning of the third millennium of Christianity. 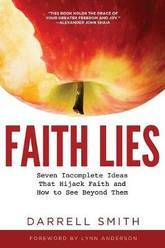 Faith Lies: 7 Incomplete Ideas That Hijack Faith and How to See Beyond Them is for people noticing the cracks in the foundation of their faith as well as those who feel they have been hurt or discarded by a God or a faith that just does not make sense. Faith lies are those seemingly required religious ideas or spiritual beliefs that are often confusing and rarely helpful. LIE 1 -- The Bible is the Literal Word of God -- The Bible is not the written record of God's dictation. God was most certainly the inspiration for the Bible, but not the medium. People were the medium-they did the storytelling, the writing, the selecting, and the interpretation that resulted in the Bible. The Bible is not God's Bill of Rights and Constitution. 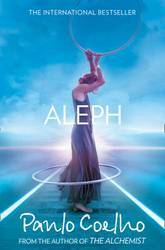 Rather, it is a divinely inspired story of progression that should open things up rather than constrict and regulate. LIE 2 -- God is Angry and Doesn't Like Me--Especially When I Sin -- Instead of perceiving God as a loving parent, many of us understand God as a cosmic scorekeeper, intent on our purification. Understanding God as a loving parent not only requires a reframing of our perception of God but also invites us to see each other and ourselves as beloved children. LIE 3 -- The Devil is God's Counterpart -- This is the bad idea that the Bible presents a continuous, consistent narrative about the devil. It simply does not. Moreover, when we string together what we actually have--disparate statements about satan made by different people, from different places, languages, cultures, and times--we arrive at the strange notion that there is a good god who is responsible for the good things in our lives and a bad god (satan) who handles the bad stuff. LIE 4 -- I Am Supposed to Protect and Defend God and My Faith -- There are real tensions and conflicts around the globe today that are built on the notion that as people of faith, one of our jobs is to defend our faith or our God. Rather than settling for a god who needs our protection, we can follow the powerfully divine thread of moving beyond the tribe that is found throughout the Bible. LIE 5 -- There is One Right Way to Believe and One Right Way to Behave -- One of the root lies of fundamentalism--in all faiths--is the notion that true faith is defined by believing the right things and acting the right way. Isn't it more likely that we are all part of a diverse creation that flows from a God that cannot be contained by any one belief or behavior? LIE 6 -- Faith is a Private Matter -- Much like whom we voted for in the last election or how much money we make, people have wrongfully accepted the idea that faith is a private matter and not to be shared with others. The spiritual life has always been a communal life. We require others to undertake our journey, and others need us, too. LIE 7 -- Real Faith is Blind Belief -- The idea that true faith has no doubts or questions creates a powerless and impotent faith that discourages critical thinking and fosters the ridiculous assumption that science and faith are unrelated. Real faith actually requires doubt, criticism, and exploration in order to change us-let alone change the world. While the loud voices at the margins adamantly declare faith either completely irrelevant or capable of being contained in one narrow ideology, most people get lost in the mix, feeling no certainty or comfort in either direction. Faith Lies deconstructs the terrible notion that faithlessness and fundamentalism are our only options. The Bible has always enjoyed notoriety within the genres of crime fiction and drama; numerous authors have explicitly drawn on biblical traditions as thematic foci to explore social anxieties about violence, religion, and the search for justice and truth. 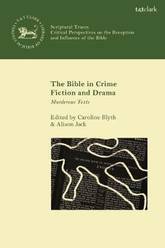 The Bible in Crime Fiction and Drama brings together a multi-disciplinary scholarship from the fields of biblical interpretation, literary criticism, criminology, and studies in film and television to discuss international texts and media spanning the beginning of the 20th century to the present day. 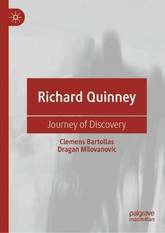 The volume concludes with an afterword by crime writer and academic, Liam McIvanney. 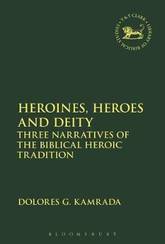 These essays explore both explicit and implicit engagements between biblical texts and crime narratives, analysing the multiple layers of meaning that such engagements can produce - cross-referencing Sherlock Holmes with the murder mystery in the Book of Tobit, observing biblical violence through the eyes of Christian fundamentalists in Henning Mankell's Before the Frost, catching the thread of homily in the serial murders of Se7en, or analysing biblical sexual violence in light of television crime procedurals. The contributors also raise intriguing questions about the significance of the Bible as a religious and cultural text - its association with the culturally pervasive themes of violence, (im)morality, and redemption, and its relevance as a symbol of the (often fraught) location that religion occupies within contemporary secular culture. 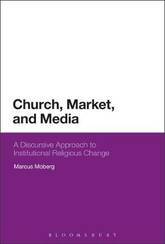 Marcus Moberg offers a new model of religion and religious life in the post-war era, through focusing on the role of markets and media as vectors of contemporary social and cultural change - and therefore institutional religious change. While there is wide agreement among sociologists of religion that there this area is transforming on a global scale, there is less agreement about how these changes should best be approached and conceptualized. In a time of accelerating institutional religious decline, institutional Churches have become ever more susceptible to market-associated discourse and language and are ever more compelled to adapt to the demands of the present-day media environment. Using discourse analysis, Marcus Moberg tracks how new media and marketing language and concepts have entered Christian thinking and discourse. 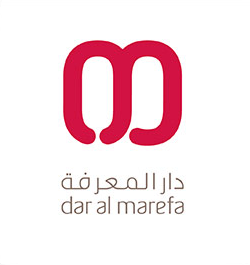 Church, Market, and Media develops a framework that approaches changes in the contemporary religious field in direct relation to the changing socioeconomic makeup of contemporary societies on the whole. Through focusing on the impact of markets and media within the contemporary religious setting of mainline institutional Christian churches in the Western world, the book outlines new avenues for further theorizing the study of religious change. The reception of the Gospel of Matthew over two millennia: commentary and interpretation Matthew Through the Centuries offers an overview of the reception history of one of the most prominent gospels in Christian worship. Examining the reception of Matthew from the perspectives of a wide range of interpreters--from Origen and Hilary of Poitiers to Mary Cornwallis and Bob Marley--this insightful commentary explains the major trends in the reception of Matthew in various ecclesial, historical, and cultural contexts. Focusing on characteristically Matthean features, detailed chapter-by-chapter commentary highlights diverse receptions and interpretations of the gospel. Broad exploration of areas such as liturgy, literature, drama, film, hymnody, political discourse, and visual art illustrates the enormous impact Matthew continues to have on Judeo-Christian civilization. Known as 'the Church's Gospel, ' Matthew's text has been the subject of apologetic and theological controversy for hundreds of years. It has been seen as justification for political and ecclesial status quo and as a path to radical discipleship. Matthew has influenced divergent political, spiritual, and cultural figures such as Francis of Assisi, John Ruskin, Leo Tolstoy, Dietrich Bonhoeffer, and Mahatma Gandhi. Matthew's interest in ecclesiology provides early structures of ecclesial life, such as resolution of community disputes, communal prayer, and liturgical prescriptions for the Eucharist and baptism. 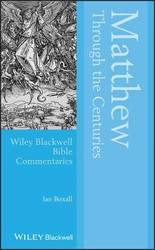 A significant addition to the acclaimed Blackwell Bible Commentaries series, Matthew Through the Centuries is an indispensable resource for both students and experts in areas including religious and biblical studies, literature, history, politics, and those interested in the influence of the Bible on Western culture. The figure of Anna Perenna embodies the complexity and richness of the Roman mythological tradition. In exploring Anna Perenna, the contributors apply different perspectives and critical methods to an array of compelling evidence drawn from central texts, monuments, coins, and inscriptions that encapsulate Rome's shifting artistic and political landscape. 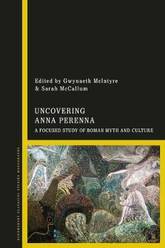 As a collection, Uncovering Anna Perenna provides a unique examination that represents the interdisciplinary intersection between Roman literature, history, and culture. The assembled chapters offer thought-provoking and insightful discussions written by specialists in Roman myth and religion, literary studies, and ancient history. A convergence of different perspectives within the collection, including comparative literature, gender and sexuality, literary criticism, and reception, results in a rich and varied investigation. Organized into four parts, the volume explores Anna along four conceptual lines: her liminal nature as a Carthaginian figure coopted into Rome's literary, mythological, and artistic heritage; her capacity as a Roman goddess and nymph; her political and cultural associations with plebeian and populist ideology; and her intriguing influence on James Joyce's Finnegans Wake. 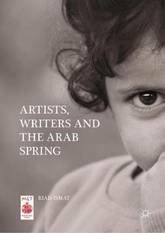 The book aims to explore the foresight of prominent Middle Eastern authors and artists who anticipated the Arab Spring, which resulted in demands for change in the repressive and corrupted regimes. Eventually, it led to cracking down on the protests with excessive force, which caused tremendous human suffering, destruction, and also escalation of extreme insurgency. The author analyzes major literary and artistic works from Egypt, Syria and Tunisia, and their political context. This monograph will be helpful to scholars and students in the growing field of Middle Eastern and North African Studies and everyone who is interested in the politics of MENA. In 1768, Ahmad al-Damanhuri became the rector (shaykh) of al-Azhar, which was one of the most authoritative and respected positions in the Ottoman Empire. He occupied this position until his death. 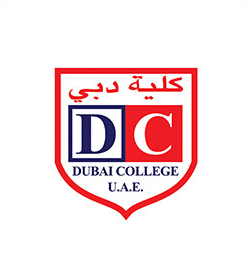 Despite being a prolific author, whose writings are largely extant, al-Damanhuri remains almost unknown, and much of his work awaits study and analysis. This book aims to shed light on al-Damanhuri's diverse intellectual background, and that of and his contemporaries, building on and continuing the scholarship on the academic thought of the late Ottoman Empire. The book specifically investigates the intersection of medical and religious knowledge in Eighteenth-Century Egypt. It takes as its focus a manuscript on anatomy by al-Damanhuri (d. 1778), entitled The Clear Statement on the Science of Anatomy (al-qawl al-sarih fi 'ilm al-tashrih), . 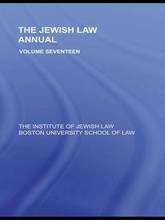 The book includes an edited translation of The Clear Statement, which is a well-known but unstudied and unpublished manuscript. 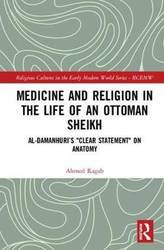 It also provides a summary translation and analysis of al-Damanhuri's own intellectual autobiography. 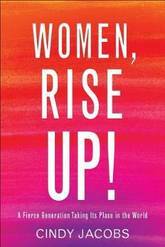 As such, the book provides an important window into a period that remains deeply understudied and a topic that continues to cause debates and controversies. This study, therefore, will be of keen interest to scholars working on the post-Classical Islamic world, as well as historians of religion, science, and medicine looking beyond Europe in the Early Modern period. This study explores the conversion theologies of Luke and Paul. 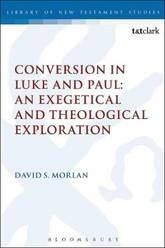 For Luke and Paul conversion played an important role in the early Christian experience and Morlan offers a fresh look into how they interpreted this phenomenon. Morlan traverses representative texts in the Lukan and Pauline corpus equipped with three theological questions. What is the change involved in this conversion? Why is conversion necessary? Who is responsible for conversion? Morlan presents theological and exegetical analysis of Luke 15, Acts 2, Acts 17.16-34, Romans 2 and Romans 9-11 and answers these questions, and, in turn, builds theological profiles for both Luke and Paul. These profiles provide fresh insight into the theological relationship between Luke and Paul, showing significant similarities as well as sharp contrasts between them. Similarities surface between Luke and Paul concerning the centrality of Christology in their conversion theologies. While showing a complex relationship between human and divine agency in conversion, both Luke and Paul understand successful conversion to be impossible without the intervention of an agency outside of the pre-convert. This volume offers a detailed analysis of how the current phase of capitalism is eating away at social, interpersonal, and psychological health. 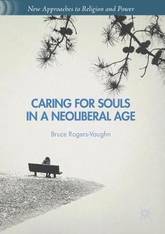 Drawing upon an interdisciplinary body of research, Bruce Rogers-Vaughn describes an emerging form of human distress-what he calls `third order suffering'-that is rapidly becoming normative. Moreover, this new paradigm of affliction is increasingly entangled with already-existing genres of misery, such as sexism, racism, and class struggle, mutating their appearances and mystifying their intersections. Along the way, Rogers-Vaughn presents stimulating reflections on how widespread views regarding secularization and postmodernity may divert attention from contemporary capitalism as the material origin of these developments. 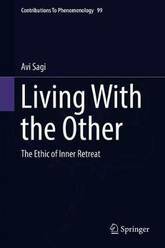 Finally, he explores his own clinical practice, which yields clues for addressing the double unconsciousness of third order suffering and outlining a vision for caring for souls in these troubling times. 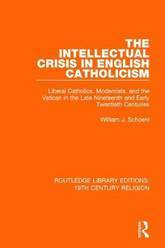 This volume, first published in 1982, examines the attempts of English liberal Catholics to reconcile their Church with secular culture and provides an account of the development of liberal Catholicism in England in the late nineteenth and early twentieth centuries. This work was written not only for specialists in religious history but for all readers who might be interested in this seminal period of Catholicism. 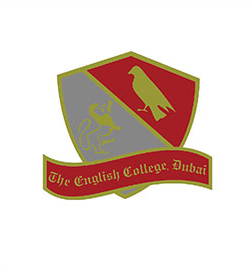 It is a study in religious, intellectual, and cultural history. 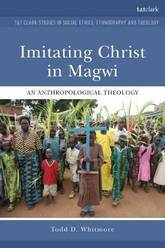 Imitating Christ in Magwi: An Anthropological Theology achieves two things. First, focusing on indigenous Roman Catholics in northern Uganda and South Sudan, it is a detailed ethnography of how a community sustains hope in the midst of one of the most brutal wars in recent memory - that between the Ugandan government and the rebel Lord's Resistance Army. Second, it puts out a call for theology itself to be a practice of imitating Christ. Such practice requires both living among people on the far margins of society and articulating a theology that foregrounds the daily, if extraordinary, lives of people. Todd D. Whitmore argues that ethnography is not merely an add-on to theological concepts, but rather a new way of doing theology, and includes what anthropologists call thick description of lives of faith. Whitmore's anthropological theology calls not upon abstract concepts but instead is consonant with the fact that God did indeed become human. Whitmore consequently finds that the belief that the spirit of Jesus Christ can enter into a person, through such devotions as the Adoration of the Eucharist, gave people the wherewithal to carry out striking works of mercy during the conflict, and, like Jesus of Nazareth, to risk their lives in the process. Across diverse countries and contexts in Africa, religion has direct implications for human security. While some individuals and groups seek to manipulate and control through the deployment of religion, religious belief is also a common facet of those working towards peace and reconciliation. Despite the strategic importance of religion to human security in Africa, there are few contemporary publications that explore this issue on an international scale. 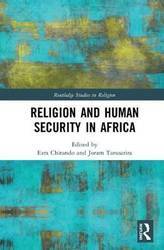 This volume redresses that imbalance by examining religion's impact on human security across Africa. Written by an international team of contributors, this book looks in detail at the intersection of religion and security in a variety of African contexts. 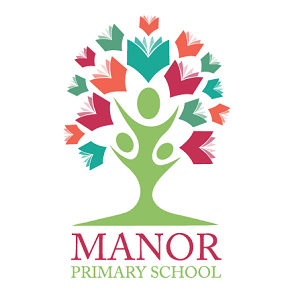 Case studies from a diverse set of countries including Nigeria, Ghana, South Africa, Burkina Faso, and more, are used to illustrate wider trends across the continent. 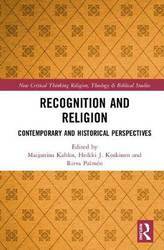 Acknowledging that religion can be used to incite violence as well as encourage peace, the chapters employ an interdisciplinary exploration of the ethics, sociology, and politics around these issues. This is much needed volume on religion's capacity to effect human security. It will, therefore, be of significant interest to any scholar of religious studies, African studies, political science, the sociology of religion, and anthropology, as well as peace, conflict, and reconciliation studies.